Should you go back to Nepal? One of things I got to do when I was back in Nepal was build connections. I personally think studying abroad for my undergraduate and master's degree was the right choice however, that came at a cost; the cost of losing connections back home. Given that I studied graduated from a school that was part government funded and was the best of the crop, I feel I have a moral obligation to look back and always remember where my roots really belong. I might meander and twist and turn and make my way abroad but my firm footing will always be located in Nepal. I think that's the dilemma young, educated, intellectual citizens of the Himalayan nation feel when they live abroad. They desperately feel responsible for what happens in the country, yet they can't seem to give up on the position that they are currently comfortable in. Do you sacrifice, leave behind the opportunity for accelerated self-growth in countries abroad and return back home or do you prioritize self-development and let the communities in Nepal feel the absence of a smart, educated, capable citizen who could make a significant impact? I pitched this thought to a couple of my friends working in Nepal and they all seem to agree on the fact that it's immensely difficult to work with Nepalese. The habit of not working is chronic, and even if you give incentives to work, people just end up cheating or not working. The fundamental difference I see between South Korea and Nepal is that when you cheat on your work in Nepal, you are seen as smart (and even in some cases, people brag about how they manage to cheat their way through) but here, in Korea, things work differently. You don't cheat because cheating leads to no substance and having no substance in Korea means that you will quite definitely go hungry. Competition is break-neck here and if you decide not to work, to cheat your way out, to become lazy and become a liability, people will hate you for that. There's no bragging here about how you out-smarted your way to the position you are in. Even if you did outsmart the system, you still require a basic level of hard work to be able to do that. If you think about it, this boils down to culture and cultures are based on institutional habits and THAT is based on individual habits. Does that mean that our education system, the way we educate youngsters has a deep underlying flaw? That parent's aren't teaching kids to work but to cheat, because that's what the system requires. To cheat to get work, to cheat to get promotion, to cheat, lie and work on self-prophecy and self-ego to keep the position you are in. Become a star outside but hollow inside. All style-no substance. Is the system actually pushing people to become like that? The layers and layers of dishonesty is, frankly, nauseating. It is a classic example of chicken and egg problem. The system is eventually based on how individuals act but the system in place also plays a key role on how an individual sees the society and how he develops habits in order to survive in such environment. Humans are primal, emotional highly adaptable beings and even if situations cry out to be rational, they don't because that's how they know they can survive. 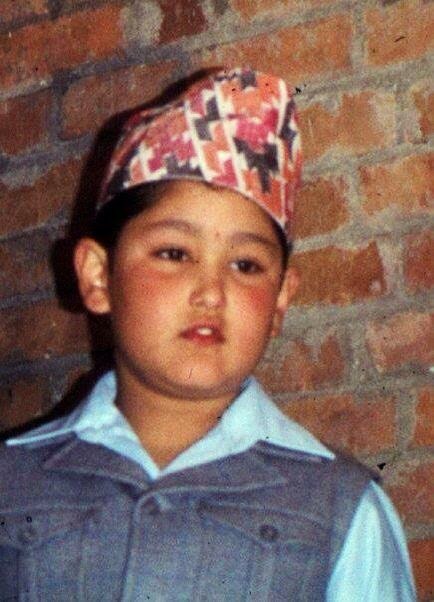 No matter how much fun I make of my own people, Nepalese do posses intelligence to access the situation they are in. The fact is, everyone is just trying to survive, compete with people who already know how to cheat and if you don't, you fall back. But is that the only way one can survive? There's no doubt that a country's governing body plays a crucial role in institutionalizing habits, on fixing systems based on fair rules and regulations. Given that there are syndicates, mafias and gangsters in the transport, education, hospitality and well, every sector that you can possibly imagine in, the government has clearly no control of crucial, crucial portions that the government needs to have control of in order to provide structure to the nation. This might look like I am both generalizing and exaggerating at the same time but reality speak for themselves. Go talk to honest, diligent and genuine people in Nepal and they will open up to you like a blooming lotus. Only the nectar that they have to provide is no different to a venom. In a way, in grand scheme of things, Nepal does look out of control. Was there a point of no return for the government to impose much needed control over the country? Maybe. Has freedom become out of control for some dishonest masses of the country? Maybe. But one things certain; the more you dig into the inner workings on how the country is actually running, the more headache you will have. So the million dollar question is: Should you return? I don't know. Depends on what your background is, depends on whether you are willing to make personal sacrifices, depends on whether you are willing to work in a system that you know (and everybody makes sure you know) is not functioning. If you do return though, there's one thing you could do; not worry too much about the how the country is functioning. Not stress out that the system isn't working. The beauty is to blend in the people around you, do what you need to do in order to survive but have a genuine work ethic to display. In the mean time, like my friend who now returned from states to work back home says, make innocuous, subtle but radical changes on how you work and make others do the work for you. I don't know what those changes are but to find out what it is, one must stay in that system, become one with your colleagues and think the way they do. If you do decide to go back home, well, good luck to you.